If you’re a college student with some credit or none and looking for a great card to use while building your credit, consider the Discover It Chrome Card for College Students. With this card, you can earn 2% cash back at gas and restaurants on up to $1,000 in combined purchases each quarter. Plus 1% cash back on all other purchases AND the card has no annual fee. Also, if you’re a great student, you can get $20 cash back each school year your GPA is 3.0 or higher for up to the next 5 years. What makes this card more appealing? Your cash back rewards DOUBLE at the end of your first year! Yes, you heard right! You can earn double cashback on your first year! If you use our BankDealGuy referral link while applying, you can score a $50 bonus after your first purchase AND have it double at the end of the year to earn a Discover It Chrome Card for College Students $100 Referral Bonus. This double offer also applies to any cashback rewards and referral bonuses throughout your first year as well! See below for more details on this card. Editor’s Note: Choosing Discover Bank Online is a smart choice whether you’re banking online or looking for the best return rates. 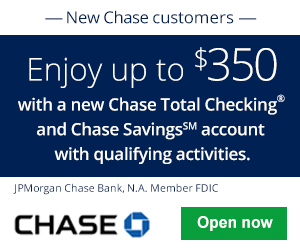 See our full list of Discover Bank Deals, Bonuses, Rates, and Promotions where you can earn a cash bonuses and competitive rates! Earn 2% cash back at gas and restaurants on up to $1,000 in combined purchases each quarter. Plus 1% cash back on all other purchases. Get Good Grades and Get Cash Back $20 cash back each school year your GPA is 3.0 or higher for up to the next 5 years. 0% Intro APR for 6 months on purchases. Then 13.99% to 22.99% Standard Variable Purchase APR applies. If you misplace your card, you can freeze your account in seconds on the mobile app or website to prevent new purchases, cash advances, and balance transfers. Easily view your FICO® Credit Score on monthly statements, mobile and online for free. That’s why you’re never responsible for unauthorized purchases on your Discover card. Plus, Discover monitors every purchase, every day for suspicious activity. Their U.S.-based customer service is available anytime, day or night. Or try out their powerful tools on our app and online. Discover It Chrome Card for College Students $100 Referral Bonus: If you’re looking to sign up for an outstanding credit card, support BankDealGuy and apply through our referral link to earn a Discover It $100 Referral Bonus by the end of your first year! Once you sign up, see below on how you can earn your own referral bonuses! If you haven’t already, sign up for a new Discover It card to earn your Discover It Chrome Card for College Students $100 Referral Bonus. To start earning your own Discover It Referral Bonus(es) log into your account and find your unique code for the Discover It Referral program. Tell your friends and family members about the card and refer up to ten people. Your referred friends/family must sign up for the card and be approved. Once all of the requirements are met, you and your referee will earn a $50 Bonus. You will have to wait up to 5 weeks for the Cashback Bonus to post to your account after each referral is approved. If you are within your first 12 months of card ownership, each $50 referral bonus will be doubled to a $100 bonus! All your banking, in your pocket or purse. Download the Discover Bank Online App today via iOS or Android. If you’re looking to apply for your first credit card or another one as a college, I would highly recommend the Discover It Chrome Card for College Students. I personally use it myself and it’s been great especially with the cash back rewards. For the first year, you will earn double of what you earn via cashback. Not only that, you will be able to refer your friends and family and earn a cash rewards for yourself AND the person you referred too! 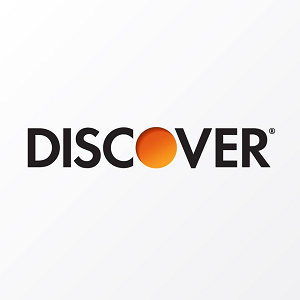 If you’re interested in more info regarding Discover Bank Online offers, check out our full listing of Discover Bank Online Bank Deals, Offers, Bonuses, and Promotions. Be sure to check back on BankDealGuy for more bank deals!